Everything is rather back to front in Japan when it comes to St. Valentine's Day. 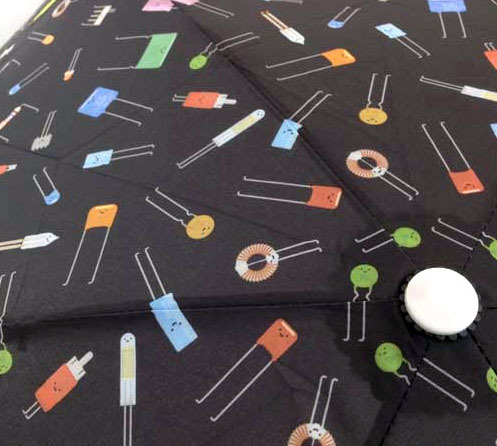 Chocolate manufacturers have to appeal to customers (women forced by social pressure into buying gifts for their male co-workers), so the designs are traditionally female even though the recipient is male. That's why there are so many cute cats, frogs, teddy bears, anime characters, and ubiquitous Hello Kitty chocolates. It works out in the end though, since "giri choco" (obligation chocolates) are usually eaten by women anyway - the wives and girlfriends of the male office workers who look forward to enjoying the bounty of their partners' popularity at work. 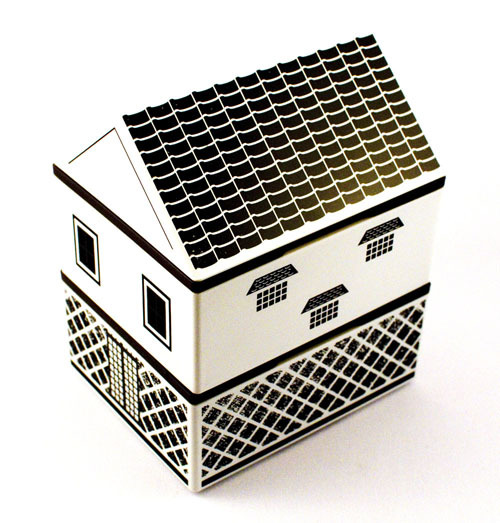 Here are some of our favorite unusual chocolate designs for 2015. Buddha Chocs. 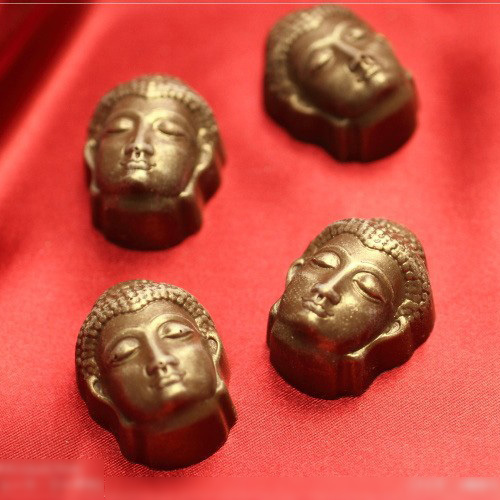 The image of a serene Buddha head statue is faithfully reproduced in these gold-wrapped chocolates from the Matilda Chocolate Collection. Cat Chocs. 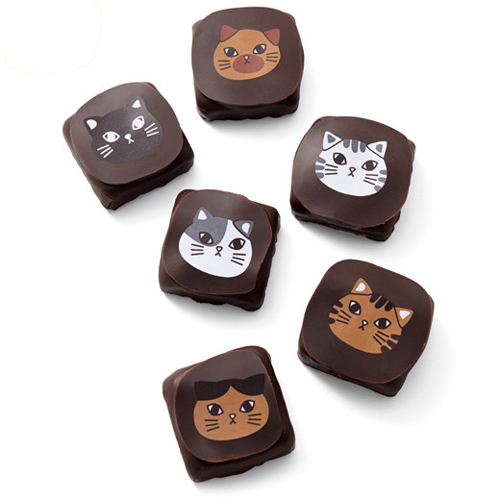 These cute chocs with cat faces are produced by Felissimo Japan and Belgian chocolatier ChocoFino. Greek God Chocs. 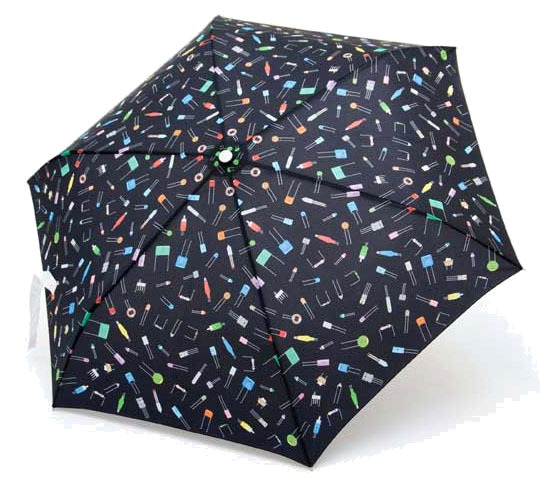 What could be more romantic than a selection of flavors inspired by ancient Greek myths and planets? Choose from Cupid (vanilla), Venus (brandy), Gaia (champagne), Uranus (lime), Kronos (cointreau), Mercury (Earl Grey tea) and Nepture (salt) flavors. Frog Chocs. Who croaks "I love you" better than a frog? 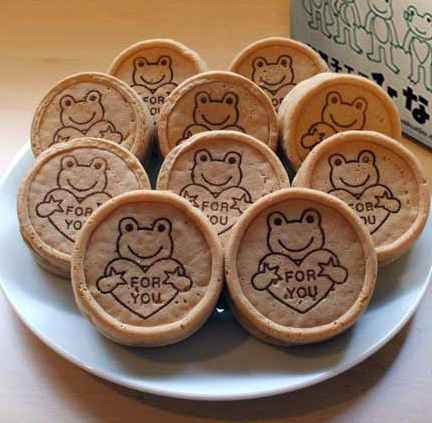 47 Club offers crispy-pancake packages filled with chocolate and stamped with a smiling frog offering his heart to you. 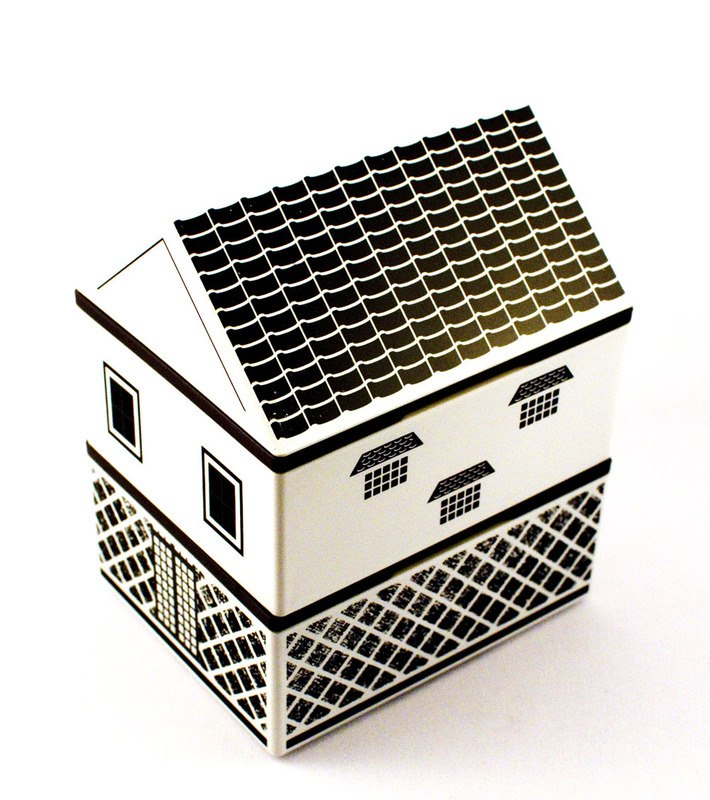 Book Chocs. 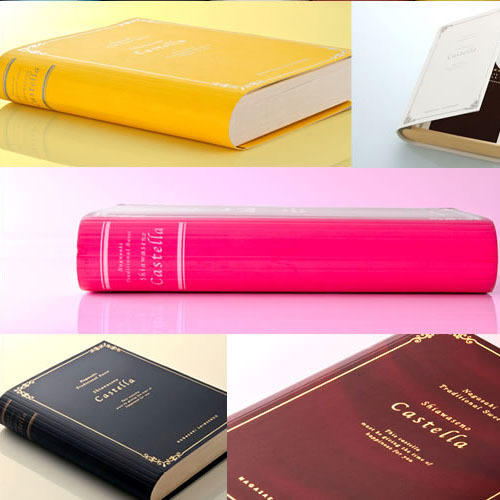 For lovers of bookworms, Nagasaki Castella offers chocolate sponge cakes in a variety of book covers. Choose the same flavor in six different color bindings and collect a small library of Valentine cakes. 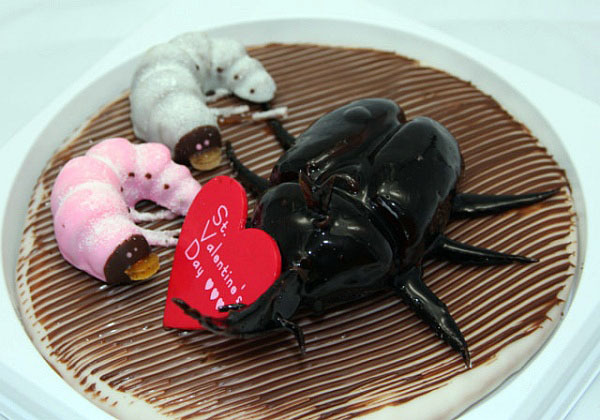 There were some nice ideas this year, but nothing really comes close to our all-time favorite Valentine's Day offerings from a few years ago - chocolate in the shape of rhinoceros beetles, stag-beetle larvae and bee pupae. Images: Yahoo Japan Shopping (Buddha chocs), Street Girls Snap (cat chocs), Tokyu Net Shopping (Greek gods chocs), 47 Club (frog chocs), Nagasaki Castella Center (book chocs) and Internetcom KK (beetle chocs)..